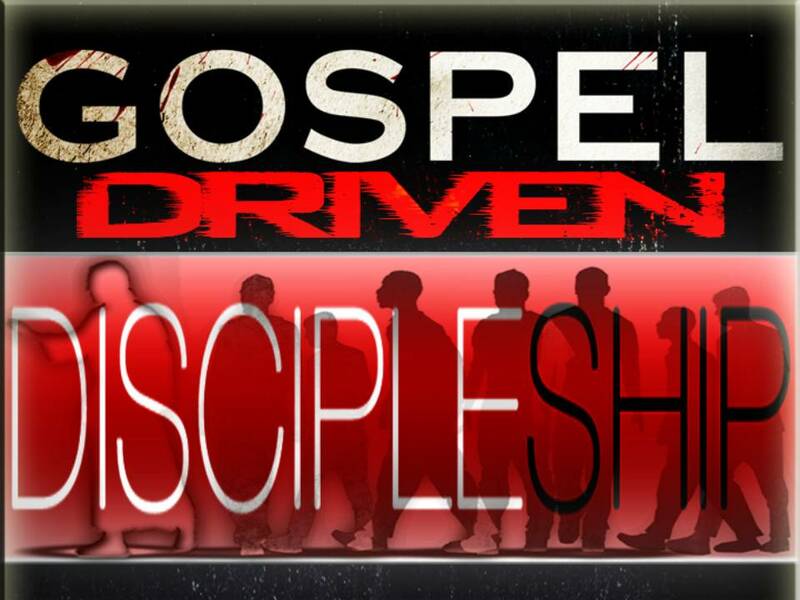 Gospel Driven Discipleship – Go on the Ride for your Life!  Philip – the Good News of the Kingdom of God and the Name of Jesus. Acts 8:12 But when they believed Philip as he preached good news about the kingdom of God and the name of Jesus Christ, they were baptized, both men and women.  Paul – the Gospel of the Grace of God. Acts 20:24 But I do not account my life of any value nor as precious to myself, if only I may finish my course and the ministry that I received from the Lord Jesus, to testify to the gospel of the grace of God. 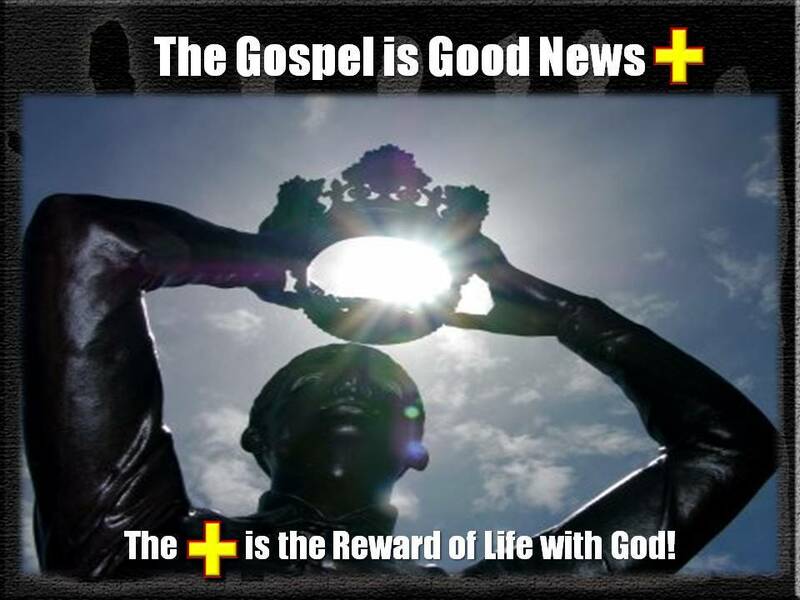 The Gospel is the good news (+ )!The Plus is the Reward of Life with God! God promises this reward. In fact, we must believe in His reward if we are to please God! 1 Corinthians 15:1-6 Now I would remind you, brothers, of the gospel I preached to you, which you received, in which you stand, and by which you are being saved, if you hold fast to the word I preached to you— unless you believed in vain. For I delivered to you as of first importance what I also received: that Christ died for our sins in accordance with the Scriptures, that he was buried, that he was raised on the third day in accordance with the Scriptures, and that he appeared to Cephas, then to the twelve. Then he appeared to more than five hundred brothers at one time, most of whom are still alive, though some have fallen asleep. Then he appeared to James, then to all the apostles. Last of all, as to one untimely born, he appeared also to me. 1. The Plan 1 Corinthians 15:3 … that Christ died for our sins according to the Scriptures (mentioned twice). 3. Achievement (between the Father and the Son) Philippians 2:8-11 And being found in human form, he humbled himself by becoming obedient to the point of death, even death on a cross. Therefore God has highly exalted him and bestowed on him the name that is above every name, so that at the name of Jesus every knee should bow, in heaven and on earth and under the earth, and every tongue confess that Jesus Christ is Lord, to the glory of God the Father. 4. Free Offer Romans 3:21-26 But now the righteousness of God has been manifested apart from the law, although the Law and the Prophets bear witness to it— the righteousness of God through faith in Jesus Christ for all who believe. For there is no distinction: for all have sinned and fall short of the glory of God, and are justified by his grace as a gift, through the redemption that is in Christ Jesus, whom God put forward as a propitiation by his blood, to be received by faith. This was to show God’s righteousness, because in his divine forbearance he had passed over former sins. It was to show his righteousness at the present time, so that he might be just and the justifier of the one who has faith in Jesus. Romans 6:23 For the wages of sin is death, but the free gift of God is eternal life in Christ Jesus our Lord. 5. 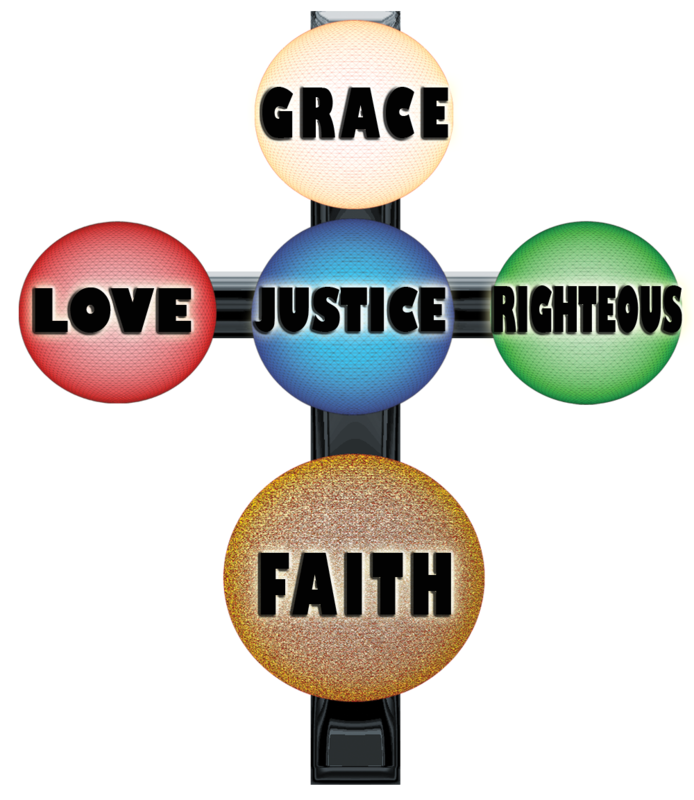 Application of the Achievement by Faith (forgiveness, justification, life). Ephesians 2:8-9 For by grace you have been saved through faith. And this is not your own doing; it is the gift of God, not a result of works, so that no one may boast. Romans 5:17 For if, because of one man’s trespass, death reigned through that one man, much more will those who receive the abundance of grace and the free gift of righteousness reign in life through the one man Jesus Christ. 6. Brings us to God 1 Peter 3:18 For Christ also suffered once for sins, the righteous for the unrighteous, that he might bring us to God, being put to death in the flesh but made alive in the spirit, Ephesians 2:12-13 remember that you were at that time separated from Christ, alienated from the commonwealth of Israel and strangers to the covenants of promise, having no hope and without God in the world. But now in Christ Jesus you who once were far off have been brought near by the blood of Christ. Ephesians 2:16 and might reconcile us both to God in one body through the cross, thereby killing the hostility. Jeremiah 9:24 But let him that glorieth glory in this, that he understandeth and knoweth me, that I am the LORD which exercise lovingkindness, judgment, and righteousness, in the earth: for in these things I delight, saith the LORD. The Gospel Accomplishes the Purpose and Pleasure of God. David made a decision to seek the Heart of God. In His seeking he discovered the ways of God, that those ways are always working to accomplish hesed, mishpat and tsedaqah. David grew as a man of God when he reacted the right way to what God was trying to accomplish in his life. God worked in David’s life these three things: hesed, mishpat and tsedaqah. It is important that we see the Gospel as a driving force in our life. The Gospel is much more than a story that you believe in when you are a child and then forget about when you are older. The Gospel is the driving purpose and pleasure of God that is to be with us at Work, at Rest, at family gatherings, at the movies, at the restaurant, when we are dealing with pressures, dealing with physical problems. The Gospel is to be on our minds and in our hearts! The Gospel is the core belief of a child of God. 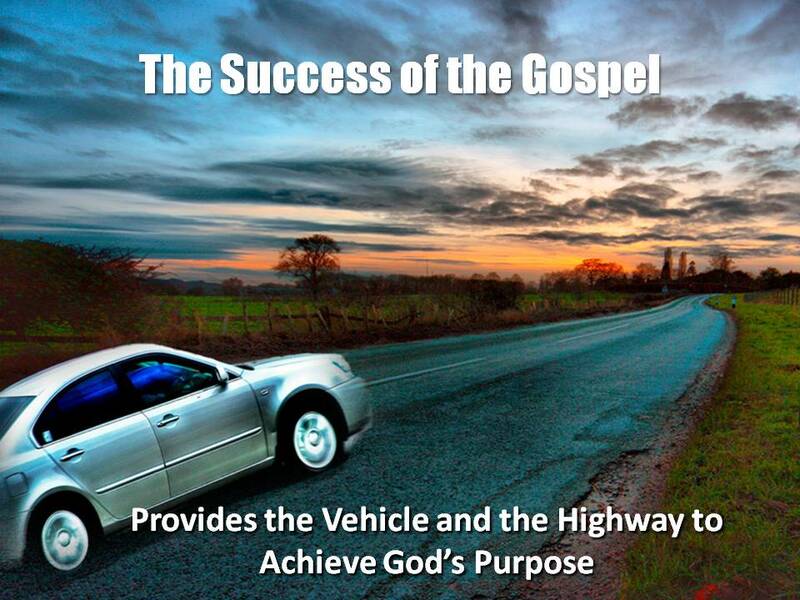 It is the Vehicle that God has provided for us to bring peace, hope, faith, love, justice, righteousness and grace. It is the vehicle that will bring us to Him! 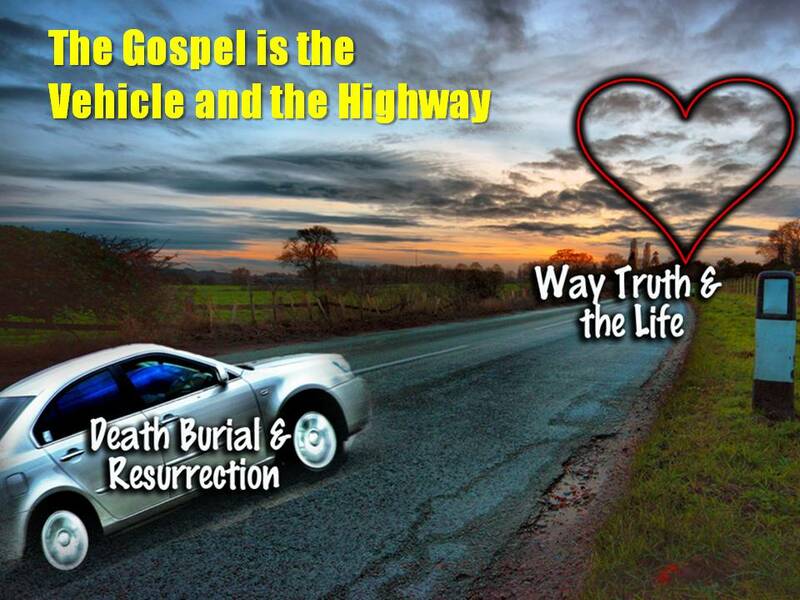 Not only is the Gospel the vehicle that we are to ride in, it provides the way, the roadway, the highway for our journey. Jesus said I am the Way, the Truth and the Life. To know the way we have to by faith receive the mercy and unfailing love of Jesus Christ. Then we stand in the Truth of Jesus Words, the mishpat. 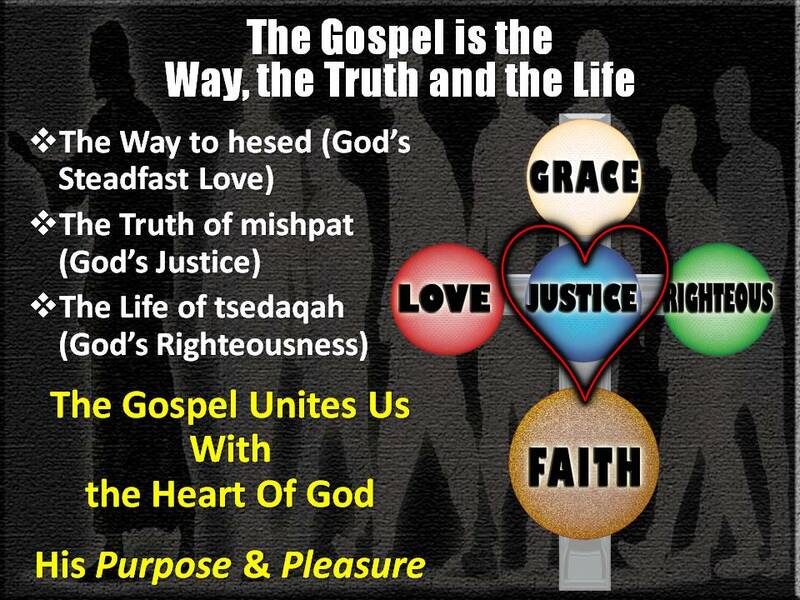 Then we have Life as we abide in the Righteousness (tsedaqah) of Jesus Christ. So the Elements of Discipleship which we found operating in David as he sought after the Heart of God are here in the Gospel. b) The Gospel is the Light of the Knowledge of the Glory of God in the face of Jesus Christ… 2 Corinthians 4:4-6 In their case the god of this world has blinded the minds of the unbelievers, to keep them from seeing the light of the gospel of the glory of Christ, who is the image of God. For what we proclaim is not ourselves, but Jesus Christ as Lord, with ourselves as your servants for Jesus’ sake. For God, who said, “Let light shine out of darkness,” has shone in our hearts to give the light of the knowledge of the glory of God in the face of Jesus Christ. 4. The Gospel Reaches the Destination – the Heart of God is revealed and made available to us in the Gospel. The Gospel accomplishes the Purpose and Pleasure of God, and therefore is the means of developing us into Disciples of Jesus Christ. This is the basis for Gospel Driven Discipleship. 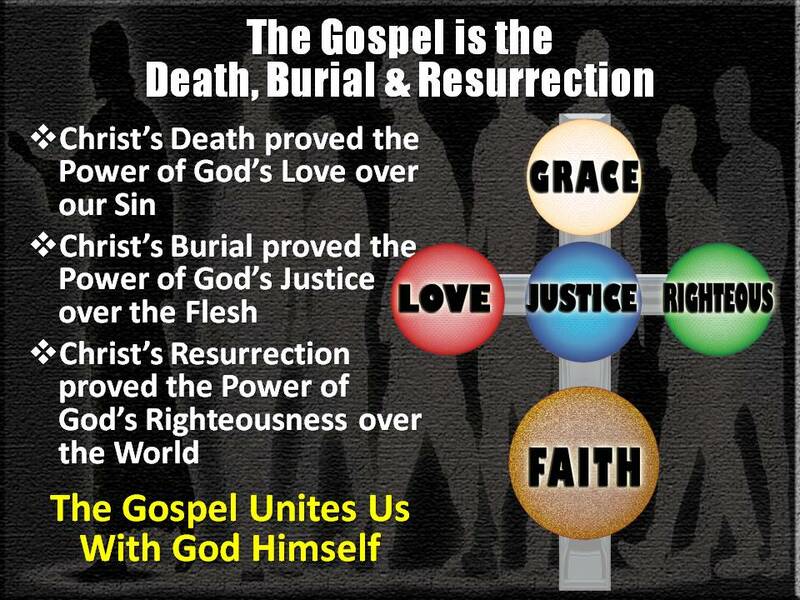 Gospel driven discipleship realizes the Power of the Gospel to transform our lives, and propel us to the Heart of God. Gospel Driven Discipleship realizes that Discipleship is not about your own abilities or efforts, but it is about relying on the Power of Jesus Christ! You must be willing to give up everything or the Gospel will have no power in your life! It will cause the car to slow down and lose power, even stall out. POP THE HOOD – TAKE A LOOK AT THE ENGINE of the GOSPEL! My brother Mike bought a Mercedes that cost $197,000. He took me for a ride, but I said it didn’t seem that much better than my Mercedes that cost $60,000. But all he had to do was push the accelerator down. That car literally took off like a rocket. Not a hurky jerky rocket, but a smooth take your breath away rocket. The engine was a V12 that could rocket to 60 mph in 4.4 seconds. With his car, the engine was the star! And so it is with the Gospel of Jesus Christ. Lets pop the hood and see what drives the Gospel. Christ died for our Sins…Mercy and Love Incomprehensible. The Gospel is the visible expression of the unfailing love and mercy of Holy God for sinful man. God literally died and experienced the wrath of hell that we deserved because of our sin and disobedience. His love drove Him to pursue us by going to the cross, humbling himself to a horrible death, and drinking the wrath of God against sin. While Jesus pleased His Father, and satisfied the demands of His justice and righteousness, we must receive this love by faith. We must humble ourselves before God and confess our sin and disobedience. We must need the salvation Jesus has provided. We must accept this gift as the perfect and total sacrifice for our sins. There cannot be one iota of dependence upon self for salvation. It is either all of Christ or it has no power to Bring us to God! As Paul writes, we receive this loving gift bought with the Holy blood of God’s Son. His love is what we rest upon. There is no looking over your shoulder, no wondering why He is doing this to you, no thinking you have to do something to make Him love you. His love comes from the strength of His Name and His character. It does not depend upon how lovely you are. His love is steadfast, strong, unfailing, based upon His death for you. 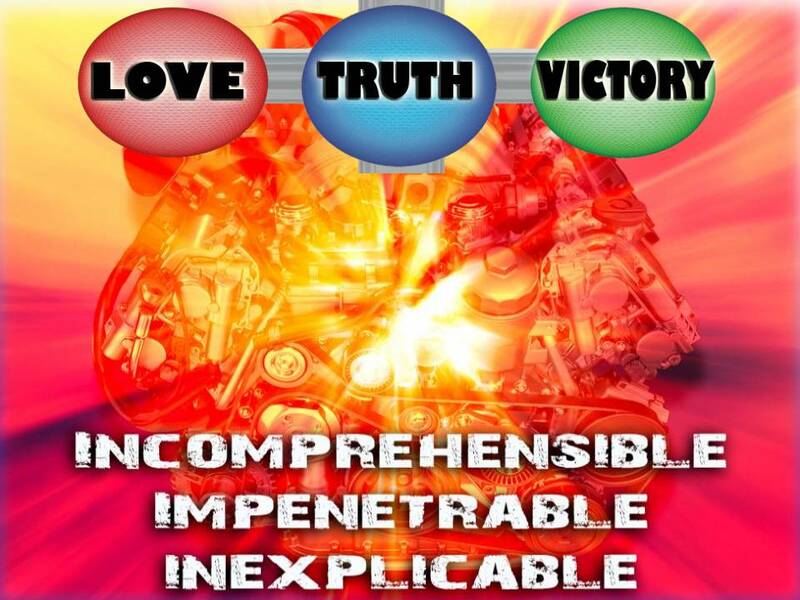 His love is incomprehensible. His desire is to bring you to Him. His desire is to live in your everyday life. When the Light of the Gospel applies the Mercy of God to our heart, we are born again. Then the Word of God is applied to our soul and our lives are justified before God. We are made right with God through the application of His justice. Then daily we must lean entirely upon the Word of God for our righteousness, for our victory over this world. It can never be anything of our flesh, or it was belief (eike) without purpose. It was in vain. Counterfeit Salvation is dependent upon self, upon the strength of your will and your flesh. It is false salvation based upon your interests and concerns. It is a false hope that somehow you can please God enough to allow you into His heaven. It is a belief that sets its eyes on yourself, and not on the Purpose and Pleasure of God alone. That belief is counterfeit, it is vanity and you will spend eternity in Hell. That is the belief that is in vain that Paul talks about. Jesus acted according to the Truth of God’s Word. Jesus died for our sins-the visible expression of the hesed of God. Jesus body was buried-the justice of God was applied to this world through the broken body of His Son. We often ignore the burial, and jump to the resurrection. But the burial was dealing with the body, with this flesh. Sin had corrupted this world, our flesh, and Jesus needed to bring Justice to this corrupt world. He had to make it right so that God could once again say “it is good!” The preparation and burial of His body was significant in that it represented the application of mishpat to this world. God’s Word is triumphant over this flesh-power over sin, over addiction, over disease! The Truth of the Gospel has application for every area of our lives. Jesus rose again in victory over sin and Satan and the grave. That victory can be experienced by us each and every day of our lives. That victory came because of His righteousness. His righteousness can be ours. His victory can be ours! that he appeared to Cephas, then to the twelve. Then he appeared to more than five hundred brothers at one time, most of whom are still alive, though some have fallen asleep. Then he appeared to James, then to all the apostles. Last of all, as to one untimely born, he appeared also to me. His righteousness is ours because of the Victory of the Gospel. All it takes is seeing Jesus for who He really is, our Savior, our Lord, our God! The Gospel transformed a cowardly fisherman into a mighty voice for God. The Gospel transformed a cheating tax collector into a mighty witness to those he had cheated. The Gospel transformed a hateful murderer into a witness before Kings. The Gospel of Jesus Christ is so powerful, that to know and experience the Gospel, all you must do is see and recognize Jesus as the Christ for who He truly is. You can know all the verses we talked about today. You can go to church, you can give money. You may have been raised in a Christian home. You may have done tremendous things on His behalf. The question is this: Has Jesus appeared to you? Has the Light of the Gospel shone in your heart? Has the light of the Gospel shone you your sin, your disobedience. Has the light of the Gospel shown you the steadfast love of God? Charles Bradlaugh, a famous Atheist and contemporary with Charles Darwin, once challenged the Rev. H.P. Hughes to a debate. The preacher, who was head of a rescue mission in London, England, accepted the challenge with the condition that he could bring with him 100 men and women who would tell what had happened in their lives since trusting Christ as their Savior. They would be people who once lived in deep sin, some having come from poverty-stricken homes caused by the vices of their parents. Hughes said they would not only tell of their conversion, but would submit to cross-examination by any who doubted their stories. Furthermore, the minister invited his opponent to bring a group of non-believers who could tell how they were helped by their lack of faith. When the appointed day arrived, the preacher came, accompanied by 100 transformed persons. But Bradlaugh never showed up. The result? The meeting turned into a testimony time and many sinners who had gathered to hear the scheduled debate were converted. Will you let the Light shine in your life? In a real sense, that is the message of the gospel: light is available, even when darkness seems overwhelming. Everyday God shines the Light of the Gospel upon your life. The light is on, but you will not see it if your focus is upon yourself. Focus upon Jesus Christ. You can say yes to the light this very day. 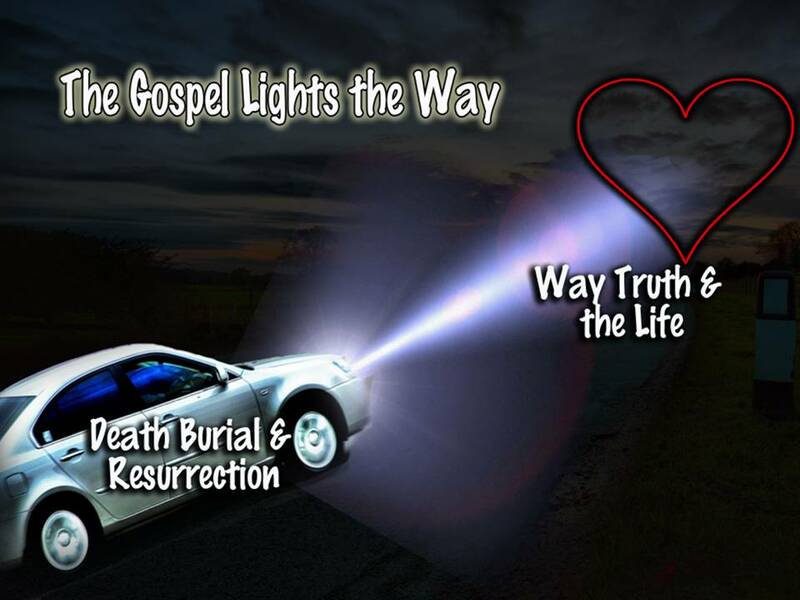 If you have backslidden away from the light you can get back to God by simply getting in the car and clinging to the wonderful power of the Gospel. What are your sights set upon. What are you counting on for success in your life? What are you counting on to take you to God? (1) William E. Vine, Vine’s Expository Dictionary of Old Testament and New Testament Words, (Nashville, TN: Thomas Nelson, 1940), WORDsearch CROSS e-book, Under: “Gospel”. (2) Warren Baker and Eugene Carpenter, The Complete Word Study Dictionary – Old Testament, (Chattanooga, TN: AMG Publishers, 2003), WORDsearch CROSS e-book, Under: “ʿāśāh“. (3) James Strong, Strong’s Talking Greek & Hebrew Dictionary, (Austin, TX: WORDsearch Corp., 2007), WORDsearch CROSS e-book, Under: “2654”. (4) Warren Baker and Eugene Carpenter, The Complete Word Study Dictionary – Old Testament, (Chattanooga, TN: AMG Publishers, 2003), WORDsearch CROSS e-book, 364. 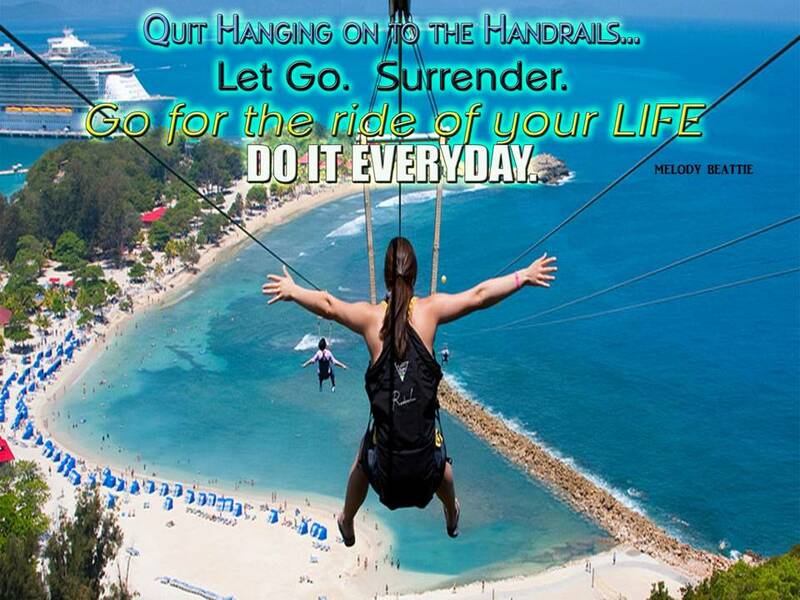 Ready to Give Up and Grab Hold? Hold Fast the Gospel of Christ!